Even with all the competition for eyeballs and the rise of second-screen and cord cutting, the Super Bowl remains not only the biggest televised sports event in the U.S. but the year's most anticipated advertising showcase. And yet the game is a bigger gamble than ever, with an unprecedented $4.5 million price tag for a 30-second spot. Super Bowl stalwarts General Motors and Volkswagen have pulled out this time around. And though the release of teasers in the run-up to Super Bowl Sunday has become standard, marketers like Nissan (which returns to the big game after an 18-year absence) have been reluctant to divulge too much about their campaigns before kickoff. So, which ads this year will cut through the streams of Twitter chatter? Which spots stand to keep people talking long after the game? As ever, advertisers have more than a few tricks up their sleeves. Here are some ads that are already generating buzz. For up-to-the-minute coverage, including our Super Bowl Ad Tracker, go to Adweek.com. 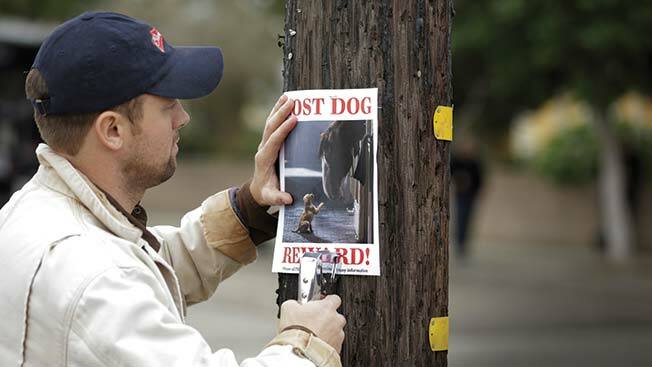 Last year’s “Puppy Love” was Facebook’s most-shared ad of all time, and Budweiser resurrects the concept this year with a 60-second emotional sequel dubbed “Lost Dog.” This time around, the brewer’s iconic Clydesdales help teach a lost puppy the meaning of friendship. Albeit adorable, bringing back the dog is a risky move. Anheuser-Busch once again has turned to agency Anomaly and director Jake Scott, creators of last year’s hit, to keep the momentum going. And if there’s one thing we never seem to get tired of, it’s a cute puppy. As part of its push to get millennials to drink more beer, Bud Light and EnergyBBDO’s 90-second, fourth-quarter “Coin” commercial follows a gentleman after he accepts a challenge printed on a beer bottle. The spot plays up '80s culture as the guy makes his way through a life-size Pac-Man game. The ad builds on the brand’s “Epic Night” and “Up for whatever” tagline from last year, including an on-site activation in host city Phoenix that will house numerous events over Super Bowl weekend, including one hosted by DJ Steve Aoki. Incorporating a new product into a familiar storyline has to be one of the ultimate tests for a Super Bowl advertiser, and Mercedes-Benz USA is up for the challenge with this ad that puts a modern twist on the classic story “The Tortoise and the Hare.” In this race, it is a Mercedes that determines the victor. Led by longtime agency Merkley + Partners, the 60-second ad, directed by Robert Stromberg, will air during the fourth quarter. For Stromberg, best known for feature films like Maleficent, this is not only his Super Bowl debut but his first commercial. The ’70s are alive and well in Snickers’ Brady Bunch-themed campaign from BBDO New York. Danny Trejo does his best Marcia Brady in a teaser for the 30-second spot. After using recent Super Bowl telecasts to promote its M&M’s brand, Mars opted this time around to put Snickers back in the game—following up on 2010’s popular Betty White starrer, which debuted the tagline “You’re not you when you’re hungry” and which would give way to a 2011 Super Bowl campaign featuring Roseanne Barr and Richard Lewis. Danica Patrick returns in GoDaddy’s “Journey Home,” marking the Nascar star’s 14th Super Bowl appearance. But like last year, don’t expect anything too racy or scandalous. Far from it. This year, Patrick will be joined by a golden retriever puppy named Buddy, who plays the company’s Chief Companion Officer. Buddy has his own Twitter account and will tweet during the game. Shot by Barton F. Graf 9000, the 30-second spot will run during the second half of the game and highlight the journey to success of small-business owners. A portable smartphone charger may seem like a curious presence in the world’s biggest marketing event, but Mophie is employing all the bells and whistles it can get its hands on to stand out at this year’s game. After hiring Deutsch LA—whose track record includes such past Super Bowl hits as Volkswagen’s 2011 “The Force”—Mophie makes its Super Bowl debut with a spot that will play up the panic and frustration we feel when our phone battery dies, as it introduces America to its line of mobile-juicing products. When it comes to quirky ads, few do it better than Skittles. The candy brand makes its Super Bowl debut this year with a 30-second spot created by DDB Chicago. (Skittles was an official NFL sponsor in 2014.) Unlike other brands in the game, Skittles is not relying on celebrities. Rather, a 15-second teaser for the Mars-owned brand depicts people in some small, dusty town who, strangely, happen to sport enormous biceps. The teaser ends with the copy: “Super Bowl Sunday. It will be settled.” Consider our curiosity piqued. While General Motors and Volkswagen opted to sit out this year’s game, Hyundai Motor Co.’s Kia will make its sixth straight Super Bowl appearance with a commercial starring Pierce Brosnan. Created by agency David & Goliath, a 60-second ad in the third quarter will promote the 2016 Sorento crossover. The Korean automaker is known for over-the-top creative that matches the scale and drama of the Super Bowl, and this year’s ad is no exception, set in a talent agency with Brosnan’s rep explaining the actor’s unexpected role in the spot. Nissan is one of several brands (Toyota, Dove Men+Care) playing up the theme of fatherhood in this year’s game. After sitting out the Super Bowl for 18 years, Nissan returns with this campaign from TBWA\Chiat\Day. Seven YouTube stars, including Roman Atwood, Action Movie Kid and Jabbawockeez, have already been plugging the ad via their own videos, though the Nissan commercial itself will not be revealed prior to the game. What we do know: It will run during the second quarter for at least 60 seconds.